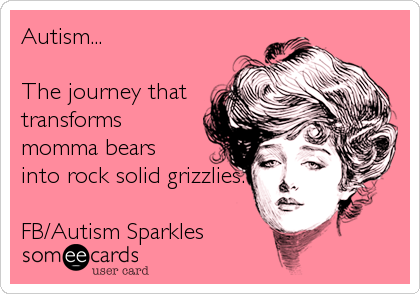 Autism and IEPs and Grizzly Mommas…OH MY!! Autism: Love? That’s Not Possible…Wait…Really? Autism: The Hard, Cold, Wiggly Facts. Autism: The Only Cure I Want. A Wonder Soul told me today it takes guts to say what I say to administrators. In a way, she is right. It does take guts. But the part some of the newer Sparkle Mommas may not understand yet is that most of us don’t start out with guts, witty words or a backbone. Most of us mommas start out with a whole lot of tears…until we are pushed too far, our kiddos are pushed aside and all we have left is to stand up, get tough and find our words. Once upon a time, I was a Southernly mannered girlie. Once upon a time, I believed whole heartedly that school districts did the right thing because it was the right thing to do. Period. Once upon a time, before our district quit on my boy, I would never have raised my voice or yelled at a school administrator. EVER. That was something reserved for the crazy parents. I was not one of those. And in those days, before that day in May two years ago, I thought the crazy parents were not like me. Two years ago, my world began to crumble. Two years ago, my world evolved through some painful moments. Even now, looking back, the depth of the pain is still cringe worthy. As it happens, I still have a tape recording of the painful moments from that day in May at the IEP I taped and even now, two years later, I can’t listen to it. It was, for lack of any better description, just that ugly. It was dark and mean and it demonstrated in full color what it looks like when educators let egos and their financial concerns block out the value and needs of the children. The moments on that tape are an auditory record of what it sounds like when a school district slams the door in your face. It is the verbal record of what abandonment and professional bullying sound like. It is what failure feels like. It is the actual color that settles deep into your skin and bruises you with the very real fear of what might happen to your child when good men and women choose to do nothing. It’s been two years since my world crashed. Two years since our school district turned their back on my boy. Two years since the last time a school administrator saw my tears fall into puddles. Two years since I felt helpless. Two years since they threw my boy, educationally, under the proverbial bus. Two years since a district made us stand up, alone, and fight against them. Two years since the school district threw me up against the proverbial wall, as my boy’s teacher described it, in their attempt to fail my boy and ignore his needs. Two years since I discovered, once I went through his IEP with a fine tooth comb, that the district had even had the audacity to change his diagnosis…without approval, without authority, without an evaluation as evidence to back it up. It’s been two years since my tears stopped flowing and my backbone turned to steel. In my boy’s fifth grade year, our world began to unravel. I won’t deteriorate into the reasons why it began but I will say that behaviorally and academically we began to regress. In one quarter our GPA fell from a 3.78 to a 3.2 and no one cared. 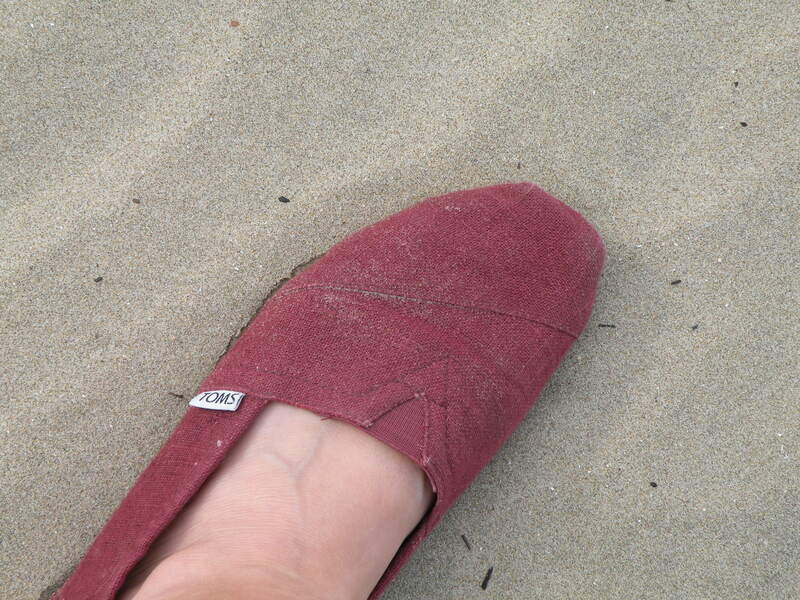 No one even noticed. In that same semester, his teacher, principal and I exchanged no less than twenty emails regarding his deteriorating behavior in class and no one stood up. In the following semester there would be twenty or so more emails and letters and yet, despite assurances from our principal, teacher and superintendent, nothing would change. IEP meetings were called and yet, still, nothing changed. Excuses were thrown about, plans were made and yet nothing changed. I held independent meeting with all the players, asked for help, mapped out behavior plans for the teacher and, still, nothing changed. On St. Patrick’s Day a limerick assignment sent my boy into a horrible melt down and no admins were on campus to assist my boy. I had to be called to school immediately. It was a twelve minute drive and I decided I would take the ticket if I was pulled over because my boy was that out of control and talking to him on the phone was the only thing we had to keep him calm until I could physically get to the school. Despite all of this, despite all the supporting evidence, nothing changed. I was standing there, waving the red flag and no one cared to even look up from their desks, their offices or their politics. I can tell you now, as I look back, I still don’t know what went wrong. The players were good people, they knew my boy academically and behaviorally and it was not rocket science. Same boy, same school, same players and yet a piece to the puzzle was fouled up and missing and it was destroying my boy’s ability to thrive educationally. Add to this the pressure of knowing this was our last year of elementary school and we would soon be moving on to middle school. Critical developmental junction! Middle School! My boy was at his lowest academic and behavioral point in many years and this was when he would be expected to transition to middle school. Middle School! It was not how I had envisioned us transitioning. It was about this time I asked the director of special services about our upcoming IEP meeting. The IEP meeting we were supposed to have in order to facilitate a smooth transition. I told him of my imminent concerns but he assured me there was no time for such a meeting since it was already May and teachers and admins were too busy for last minute IEP meetings. When I reiterated my concerns, he told me in his usual condescending manner (the one he often was known to use with women when they were not paired with a man) “Bless his little heart, we’ll do the best we can.” When I asked again about the meeting I was told it would not happen. It was only after I showed the same director the minutes from our IEP meeting four months prior with the words stating, “Schedule May IEP with middle school personnel for transition,” that he found the time to schedule all parties for a meeting. I will say, despite how busy all personnel were before, this meeting was scheduled rather quickly. The IEP meeting I refer to is now affectionately known as the IEP meeting from hell but it is also the meeting that turned the tide and firmed up my backbone. It is probably responsible for my evolution from momma bear to grizzly momma. The IEP meeting from hell changed everything. Never had I been in such a combative position. The superintendent who was supposed to be at our meeting, a request I had made in writing, did not show. No word, no apology, simply a blind siding no show. The principal that I requested, in writing, be removed from our team due to the abusive rantings he’d showered upon me, was allowed to attend. As well, and the darkest mark on this meeting, was a director of special services in attendance who regularly refused to discuss issues and instead was known to employ his favorite verbal strategy to avoid dealing with parental issues, “If it didn’t happen today, we aren’t going to talk about it because it’s in the past.” I know, I know, that’s a whole other story that we’ll have to save for another time. Inside of the meeting, with both schools in attendance, here are just a few of the gems that occurred. After four years in this district, a comprehensive evaluation and a triennial had never been performed. He also informed me, in this meeting, that my boy’s behavioral modifications did not have to be preventative, positive, monitored or measured for progress. The “director” assured me the teacher would “just know”. In this meeting I was told NOT to ask questions. The agenda I hand delivered and had date stamped in his office he informed me he had no knowledge of. My parent agenda was apparently MIA and he knew nothing about it. He then went on to refuse to address any of the issues from the copy of the agenda I brought to the meeting. The “director” also claimed no knowledge of any of the emails I’d sent all year. He claimed there must be an issue with the school district’s email system though no other personnel seemed to have this issue. It was not my favorite day ever but, I have to say that many good things came from that meeting and that is certainly when my backbone grew firm. The very best thing about the state of California when it comes to special education is the Office of Procedural Safeguards. Bless them bunches. When all else seemed dark, I began to grizzly up and I started to determine what my boy’s rights were. As it turns out, the state of California, despite some of its school district’s philosophies, takes special education very seriously and schools can have their funding withheld if they don’t abide by the rules. The day I discovered the O.P.S., I began to draft a letter and to fill out their complaint form. As I began to write the letter, I put my pen down and then I took a step back. I was having a bit of an identity crisis because, for all the years I’d been working with the districts, I was not that mom. I am not that parent. I always got along with everyone. I worked with the district, I talked with the superintendents, I crafted behavior plans for his teachers. I was the good parent. I don’t file complaints, I talk with and work with the principals and teacher and superintendents. I am not the crazy parent who fights and is adversarial and tough. That is not me. That was the moment when the evolution became clear. In that moment, I realized that is me. I had indeed become that parent. I realized I am the fighter and I am also Southernly mannered but when you begin to threaten my child’s progress and future, I can become many, many different things. I realized the time to talk and beg and be kind was over because, the saddest part was, the school has stopped listening. Good men and women had chosen to stand by and do nothing. I filed the complaint because I no longer had any avenues the school would listen to and, after seven years of working with the schools….I became one of those parents. That was the day the sky cleared and my wish bone turned into a back bone. That was the day I understood that the fighting parents were the parents who had been ignored and had been left no other choice but to fight. That was the day I understood how school districts, for whatever reason, turn kind people into adversarial grizzlies. That was the day I understood that districts don’t always do the right thing for the kiddos they are entrusted with. Sometimes good men do nothing because pleasing political needs or satisfying financial line items are more important than children. And, sometimes, educators are no longer in education for the children and for educating. That day I organized my letter for the Office of Procedural Safeguards, noted my concerns (lettered A-M with a couple of sub letters in between) and my backbone firmed up. The complaint I sent was housed in a two inch binder and the supporting paperwork, as well as the CD of the recorded IEP from hell, filled both inches of the binder. As long as I was sending it, I decided I would shake every bush and see what fell out. It would be up to the O.P.S to decide if the district was in compliance or not. I waited all summer for the office of Tom Torlakson to determine that our school district was indeed out of compliance in two areas. I only needed one to get their attention but, by the grace of God, I was given two. That was also the day I got a call from the district asking, ever so kindly, if we could move up my boy’s evaluation because now they wanted to get moving quickly on it. They were now motivated by the deadlines looming from the O.P.S. The same evaluation the “director” had played fast and loose with at the beginning of summer when he was “very truly yours” was now a whole different ball of wax. I also got a new letter in the mail from the “director” assuring me that though I had requested additional testing and been denied, they were assuredly going to complete the entire evaluation. The new letter was not signed “very truly yours.” It was now signed, more professionally, “sincerely’. Now my boy was a priority, now my boy mattered and now it seemed the power control games played by school personnel were ending. I was also very pleased to have an advocate with me for the very first time. It was also the first time ever, as a single momma, that I requested my most muscled up male friend attend the meeting with me. I assured him he didn’t have to say anything. All he had to do is be a man and sit beside me and unfortunately, in our district, that would make a difference. He even took it a step further and signed in as my fiance to somehow demonstrate his protectiveness of me and my boy. That day this momma bear became a grizzly…not because she wanted to, not because it was easy but because she had to. It was hard to be the bad guy. It was hard to be the fighter. It was hard to face down a room full of so called professionals and realize they did not value my boy like he should be valued. It was hard to see that their politics and their fiscal priorities mattered more than my boy. It was hard to finally realize that educators, despite their community paid salaries, can become bullies to the very people who fill their checking account. But that day, after the fight and the win, not one condescending remark was made. Not one avenue was glossed over and whether they had chosen to see my boy or not, they had decided it was now worth their time to do right by him. These days I have learned, through much experience, to keep a level head and keep my emotions, as best I can, in check. The smartest thing I have learned along the way is that I don’t have to carry the weight of the world on my back every time I walk into a meeting. What I have learned is that it is better when I ask the questions and make the school find the answers. It is smarter to put the ownership of fixing and creating onto them. It is their job. I will say, in follow up and bringing you up to date, that the IEP from hell changed everything. That fall, after the compliance issues were fixed by state standards and my boy’s evaluation completed, we started middle school and the new team, the one we set into motion, could not be more committed to my boy. I walked into the principal’s office a few week’s back. I know I had a puzzled look on my face. I thought for a moment before I spoke because I knew it would sound odd and I try to keep any odd to a minimum when I am talking to our new principal. I told him with as much honesty as I could find, “I keep waiting for the other shoe to drop but it hasn’t. It’s been nearly two years and it hasn’t dropped.” I said it because I am always waiting for it and it suddenly feels like I don’t have to. We have been in his school for almost two years now and it has been a pleasure. For two years my boy has been on the honor roll and for two years this principal and my boy’s teachers have been a joy, a help and advocates at every turn. I don’t have to stay three steps ahead and worry about what might happens next anymore like I used to. The staff at this school do it naturally. And, when a problem arises, it is not a chess game between the teacher, administration and I. It is quick action with my boy’s needs in the forefront. It is simply the best a momma could hope for and the funny thing is the grizzly momma has been able to rest because the shoe is not dropping. That is what happens when good men and women do the right thing because it is the right thing to do. Perhaps it takes the level of grizzly momma to even the playing field when administrators and so called educational professionals stop valuing the children. Perhaps it takes the chaos and the fight and the ugly to help administrators remember why they are in the field of education. It shouldn’t be like that but sometimes it is. And, perhaps, it was a lesson to others that it matters what good men and women do especially now when the autism rates are on the rise and with a lot of gray area upon us, good men and women need to be as vigilant as their grizzly moms and dads so that autism can rise up to the heights it was meant to reach and never-ever, not once, be pushed aside because political or financial line items have eclipsed the importance of the children. And I realize now those parents are not the crazy parents…they are the seasoned parents, the grizzly moms and dads and grandparents who will no longer stand by and watch good men and women settle for doing nothing. Those crazy grizzly mommas and dads are the ones who stand guard and make sure each and every day that good men and women continue to stand up the way they are supposed to and I am proud now to have joined the ranks. And, truthfully, they never said it was going to be easy but I promise you it is worth every bit of the fight. Indeed!! Well said, girlie <3!! Team Autism Sparkles for Color Me Rad! It was a cold day with many unorganized layers! Life is crazy, messy and absolutely beautiful! Living Life One Meal at a time!